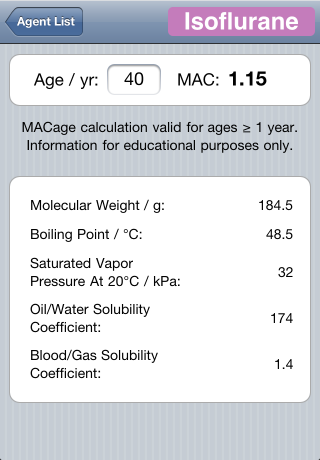 Purpose: All anesthesia providers are aware that MAC values of volatile agents change with age. The formula for calculating MACage was described first by Mapleson (1996). The data was subsequently verified by Fragen and Dunn (1996), Nakahara (1997) and Eger (2001). 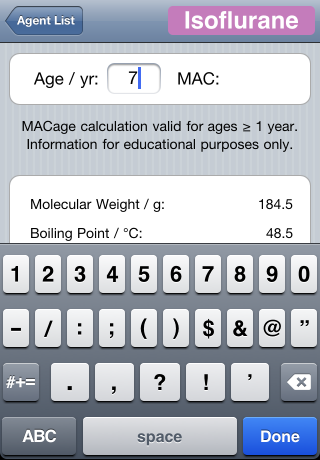 MACage uses the original Mapleson formula to calculate MAC for patients aged 1 year and over. 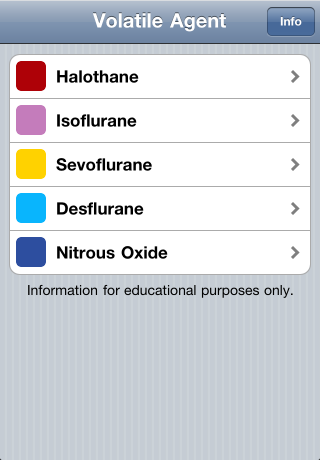 It is not intended to replace anesthesia training, or dictate how much agent should be administered to any particular patient. Providers must rely on personal judgment and experience. Contact Us with comments or concerns.